Harsh weather has the potential to damage shingles or even rip them right off your roof, forcing you to make the call to a roofing contractor. You need your roof to remain firmly in place in order to protect your family and your valuables. Look closely for missing shingles, missing segments of metal fascia, metal pieces removed from the areas around the chimney and so on. Take a look at the outer edges, valleys, angles and exhaust pipes where the walls meet with the roof. You should also take a look at your attic for water damage and leaks to boot. If you notice water stains on the walls or ceiling, you will need a roof repair or possibly a replacement. Take a look at the roof and siding if the storm included hail. Hail damage often occurs in the form of dimples made by chunks of hail that smash against the outer portion of the shingles. 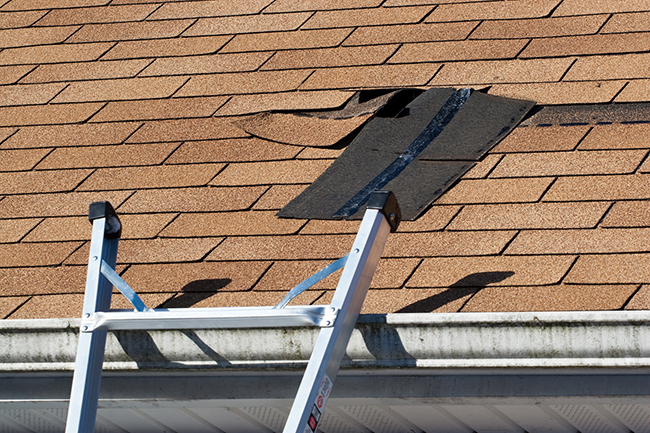 Let’s take a look at how to remedy shingle damage following a storm. If your roof has a relatively shallow pitch, you might consider attempting a DIY repair. Try to perform the repair on a dry and warm afternoon as this will reduce the odds of the shingles cracking. If the roof is still covered with any sort of water, dew or ice, wait until it dries so you are not at a heightened risk for a fall. If part of a shingle is no longer in place or severely damaged, you must remove it and replace it with a brand new shingle. You might have some shingles remaining from the last time the roof was worked on or from its installation. Try to find a shingle that matches the others on your roof. You will need a flat pry bar, a hammer, a utility knife and some 11/4 inch roof nails. Remove the nails of the damaged shingle by sliding the pry bar below and lifting upward. Remove the nails as well. If you can’t pry out all the nails, cut V-notches in the replacement so it fits around the remaining nails. Slide in the new shingle and nail it down. If your shingles are torn or cracked, there is no need to replace them. You can attempt a repair by placing some roofing sealant below the crack. Press the shingle into place and add more sealant on the crack. Use a putty knife to spread the sealant. You can even camouflage this repair by collecting the granules that have washed off the roof shingles into the gutter. Place them in a small cup and add them to the sealant to hide the repair. In many instances, the shingle damage is too extensive for a homeowner to repair on his own. If there is excessive wear, reach out to the professionals for assistance. The last thing you need is for a damaged or missing shingle to permit water to seep below, rot the wood sheathing and possibly spur the need for a full replacement. If a tree falls on your roof during or after the storm, you must ally with a professional. Consult with an experienced roofer to determine if structural damage has occurred. 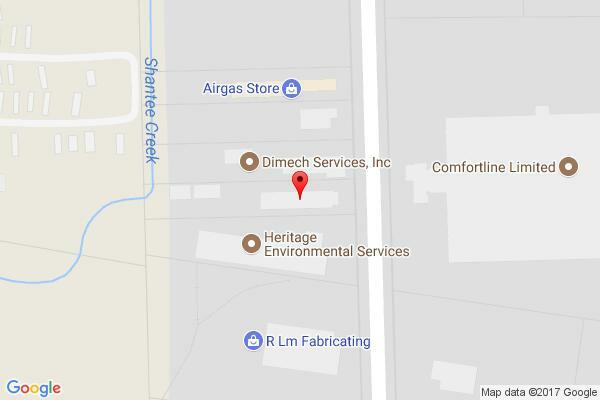 If any damage has occurred, the integrity of your roof and everything below is in jeopardy. Do not delay the repair of the compromised shingles. If you are not comfortable working on your roof or if you feel as though the job is too complex or ergonomically challenging, reach out to a certified roofer to perform a thorough repair.